As President Harry S Truman once said, "The only thing new under the sun is the history you don't know." History professor Dr. J. Michael Francis believes if Luisa de Abrego hadn’t spoken of her concerns about bigamy, her story would have probably never been shared. She was 15 years old and was a free black domestic servant in Spain when she received and accepted her first marriage proposal, he said. But she quickly became ill — and though she and the groom privately exchanged vows, the two never consummated the marriage. Her husband married someone else while Abrego was sick. Later, Abrego met Miguel Rodriguez and traveled with him to St. Augustine, and they married after they arrived in 1565. Theirs was the first documented Christian marriage in what became the continental United States, Francis said. “And it’s an interracial marriage,” added Francis, who works and teaches at the University of South Florida’s St. Petersburg campus. After their marriage, Abrego raised concerns with the Catholic Church about whether she had been married before — around that time, a marriage was legally binding if people exchanged vows with no priest, Francis said. She confessed to having two husbands before the Holy Office of the Spanish Inquisition in Mexico. After their investigation, the bigamy charge was dropped but her marriage to Rodriguez was deemed invalid. Abrego’s story is part of a project recently launched by Francis called “La Florida: The Interactive Digital Archive of the Americas.” A website, laflorida.org, lists details on Abrego and thousands of other ordinary people, including Native Americans and others who lived in or tried to journey to Florida from 1513-1821. Images of original documents are also part of the project. Francis had been building data on people for years as part of his scholarly research, which includes looking through centuries-old Spanish documents — he also recently discovered records that indicate St. Augustine held the first St. Patrick’s Day parade in what became the U.S. and possibly beyond. “What I’m really interested in is trying to see the nature of the relationships between all kinds of different people,” Francis said. Ordinary people who lived in colonial Florida and St. Augustine have been a topic of interest for many scholars, including historian Susan Parker, who has researched the topic extensively. Court documents tend to be a rich resource for finding details about regular people, said Parker, a local resident and former head of the St. Augustine Historical Society. “It’s like putting together a puzzle with lots of pieces missing,” Parker said. Among the many stories she’s read over the years, some stand out more than others. She recounted the story of a 13-year-old girl who survived the sack of St. Augustine in 1668. As pirates attacked the town, the girl carried her younger sister in her arms. When a pirate shot at them, a pistol ball killed her sister and lodged in her chest — she survived, Parker said. “It’s the other side of piracy that always sounds so glamorous,” Parker said. Charles Tingley, senior research librarian at the St. Augustine Historical Society Research Library, detailed a few stories of ordinary people who lived in St. Augustine. Among them was a Spanish man killed by Native Americans in the 1500s. His wife, while making a pension application, said that the Indians killed him and drank from his skull, Tingley said. Tingley also named a series of websites and archives where records on the people of St. Augustine and Florida can be found. “There’s an ocean of documents out there,” Tingley said. The archives of the Diocese of St. Augustine and Sisters of St. Joseph are among the resources. They’re kept by Sister Catherine Bitzer, archivist for the Diocese of St. Augustine. On a recent tour of the archives, Bitzer pulled out the “Golden Book of the Minorcans” and looked through the pages — images from the book are posted on of laflorida.org. The book was the parish record kept by Pedro Camps, who was pastor to the Minorcans at New Smyrna, and includes baptism records, according to the Diocese. The colony began in 1768. 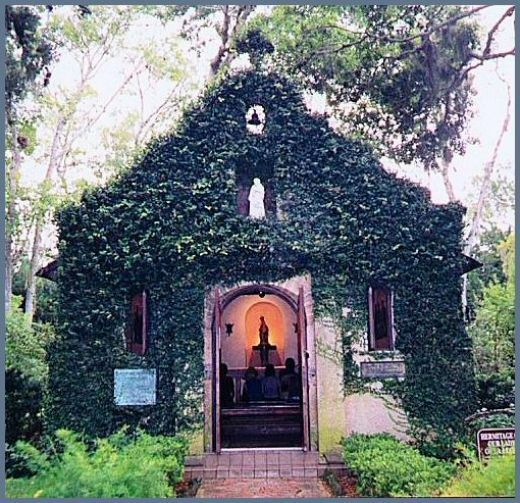 Conditions were harsh, and the priest, his parishioners and the book all came to St. Augustine in 1777. “These are the people who came to St. Augustine, walked to St. Augustine, for their freedom,” Bitzer said as she touched the book. People who want to do genealogical research on laflorida.org can search for the names of their loved ones. Shortly after the website launched this month, Francis received an email from a man in Spain who said he was stunned people who shared his last name had come to Florida in that time period. “We were thrilled to get [the email] because that’s what we want — we wanted to find a way to bridge a gap that sometimes emerges between the academic research and a popular audience,” Francis said.